Just as you pay attention to the décor of the living and other rooms of the house, your kitchen needs attention too. Kitchen is a place where you spend several hours in a week, it should be appealing to your eyes. Curtains are one thing that can raise the appeal of your kitchen. First things first, the theme and style of your kitchen should be the primary concern before deciding on the curtains for your kitchen. The curtains should match the décor and the style of the kitchen. In a rustic kitchen, modern and contemporary curtains will not look good. 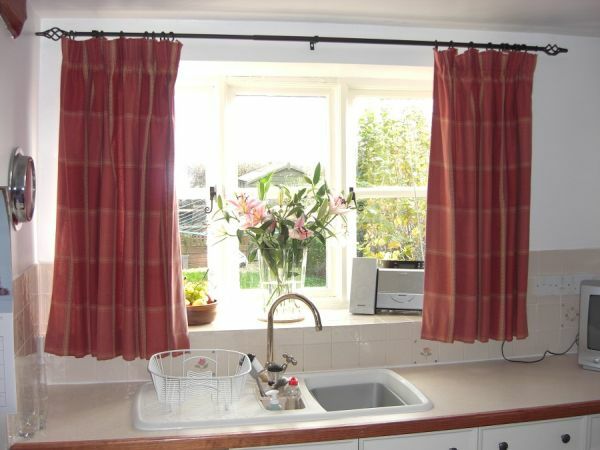 If you want the ambience of your kitchen to be casual, use short curtains. 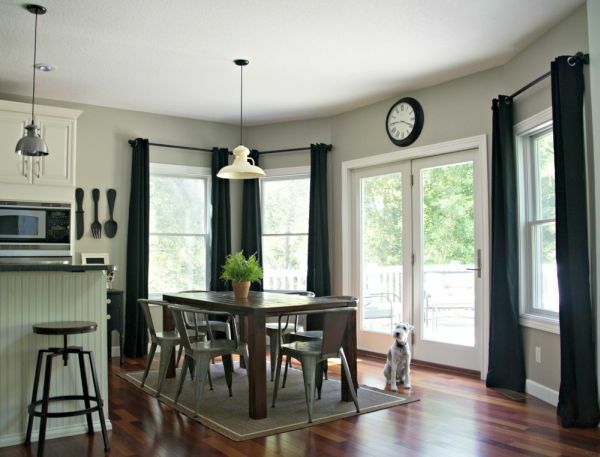 For a formal setting or more privacy, long curtains would be well suited for your kitchen. The type of fabric you want to choose for your kitchen would depend upon your kitchen arrangement. You would want to use thick and heavy curtains if you wish to block the rays of the sun. If you want more light in the kitchen, make use of light, airy curtains. The thick and heavy ones are like to retain the kitchen smells and block the fumes as well. They can be preferred only when they are distant from the stove. 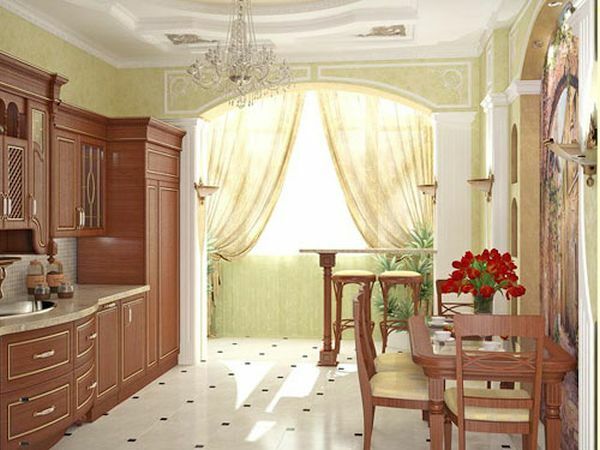 On the other hand, light and airy curtains will make your kitchen appear to be more spacious. The color of the curtains in the kitchen should be in contrast to the color of the walls, so that your window is highlighted. If the walls of your kitchen are neutral, curtains with patterns would be a good choice. With designer wallpaper on the walls, solid colored curtains will do the trick. A curtain rod is also an important element in the kitchen décor. The material and the design of the rod can enhance the appeal of the kitchen and compliment the curtains. A metal rod, especially aluminum and iron is more suitable than a wooden rod. The temperature, humidity and fumes in the kitchen would bring changes in the wooden rod and make it appear ungraceful soon. There are many fancy options available these days, select a rod that would compliment your curtains, a black colored rod is sure to go with everything. 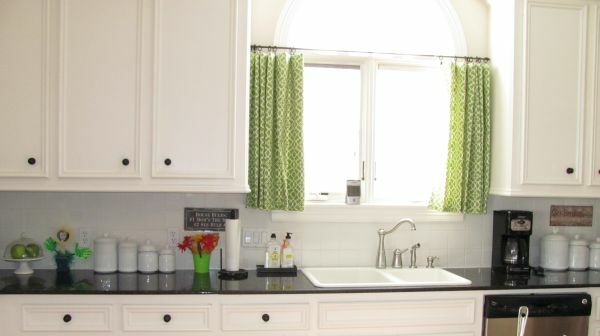 Give your kitchen an interesting look with stylish curtains. They are not merely to give you shade but enhance the décor of your kitchen as a whole.